Reading Raven HD is a great iPad app for beginner readers. 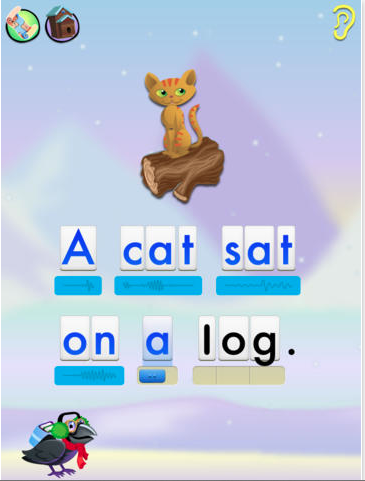 This beautiful interactive app has young students learning by completing lessons starting w/ letters and phonics to reading full sentences. All of this is done in a fun Game Based Learning environment where kids play and complete 11 different games/activities while earning rewards such as stickers. This game allows for multiple accounts, saves progress, and best of all lets a adult set the Reading Level. I highly recommend checking out Reading Raven HD by clicking here!! !